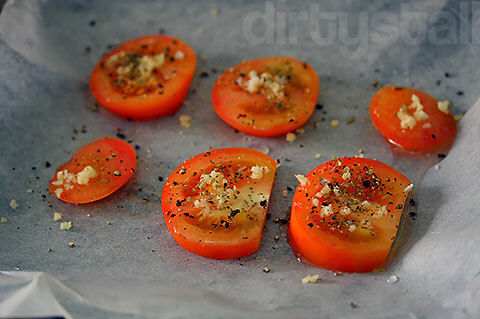 Here’s a really simple and quick appetizer I whipped up, using tomatoes, chopped garlic a bit of parsley, black pepper and salt. 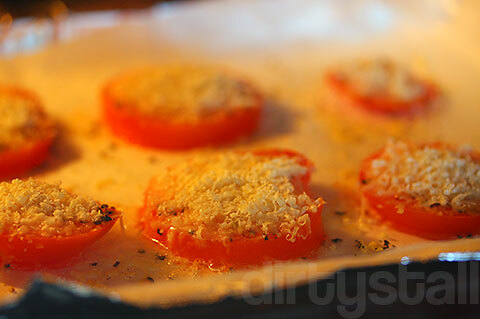 Cover generously with lots of parmesan cheese. 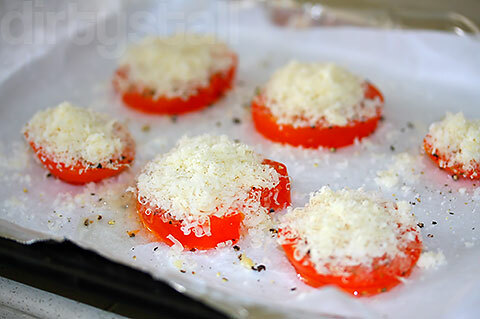 Put in oven and heat it until the cheese has melted and browned. 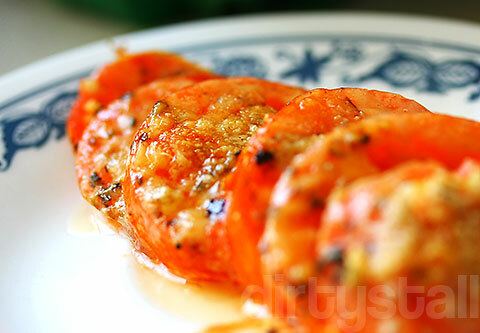 9 Responses to "Broiled parmesan tomatoes"
Thanks! Hehe I’m always looking to improve my photos as well! Your photos are nice too, maybe just need to do some white balancing. Great Italian classic! Alternatively, for a more southern Italian and lighter version, my mother used to just put breadcrumbs and olive oil on top. Let the breadcrumbs form the crust iun the ovenm, then you can either add an anchovy (before cooking), or a leaf of basil when serving.